Hi guys! I hope you are all having a fabulous weekend! 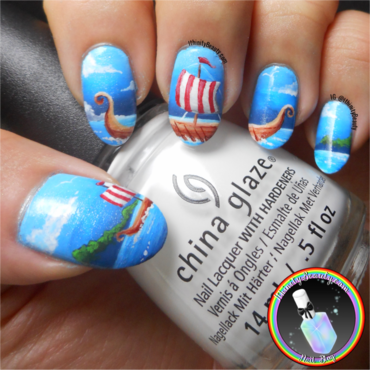 Today on the blog I have some mighty Viking ships storming through the seas! I did this nail art late last year so explain my shorty nubbin nails! This design was hand painted over a white nail polish using acrylic paints. What do you guys think? Full post: https://goo.gl/K33GGg Enjoy your weekend!